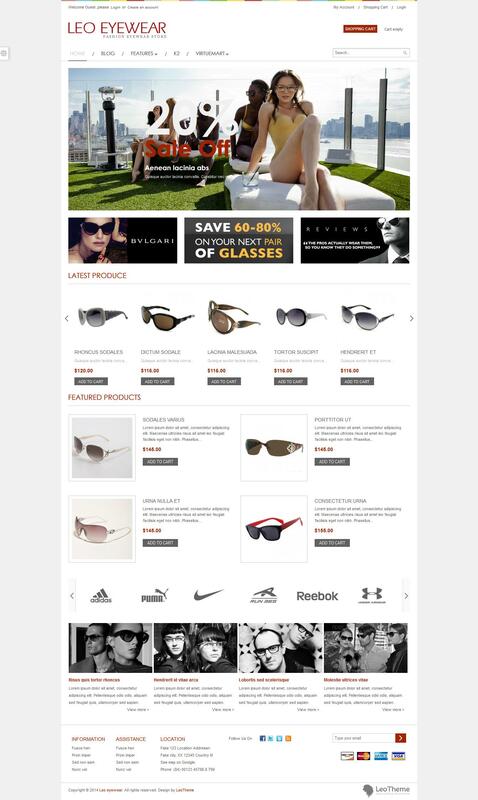 Leo Eyewear - another professional template online - Shop for Joomla 2.5 from the design studio LeoTheme. Through the use of a popular online commerce component VirtueMart, you can create a functional site with easy viewing and purchase of any goods. Template configuration can be easily changed via the built settings manager, which allows access to a choice of background color, font size, and references. Studio platform gives Leo Framework template adaptive functions, excellent optimization and support for all versions of browsers. Availability component K2 significantly enhances the potential of this template.